Irish inspired American made. 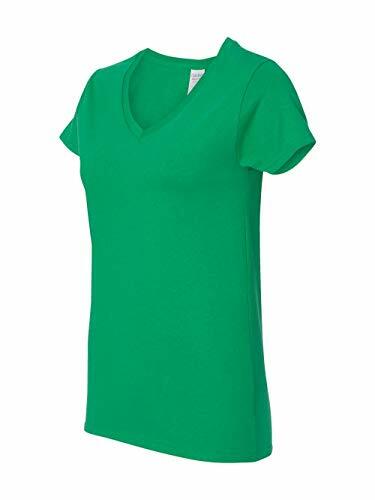 Screen Printed on a traditional heather Kelly green first quality 100% Cotton woman's v-neck tee "fashion cut". 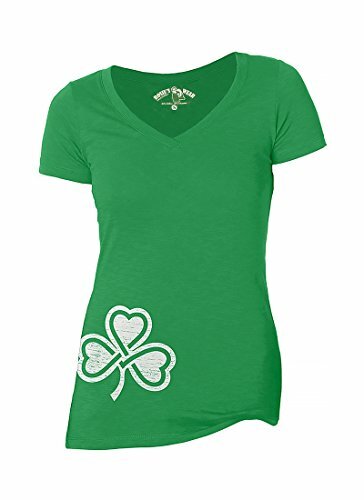 A distressed Shamrock with Celtic knot printed on the front right hip. 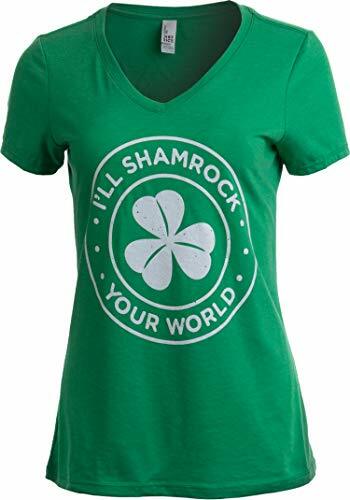 Great year-round and even better for your St. Patrick's Day celebrations! *** Shirt run small... Most customers have ordered one size up. Slim fit, longer length. Designed and hand-printed in Chicago, Illinois in the shadows of Wrigley Field. Our shirts are always made with love. Printed on a poly/cotton women's Next Level brand tank top. PLEASE NOTE: Junior fit, runs small. 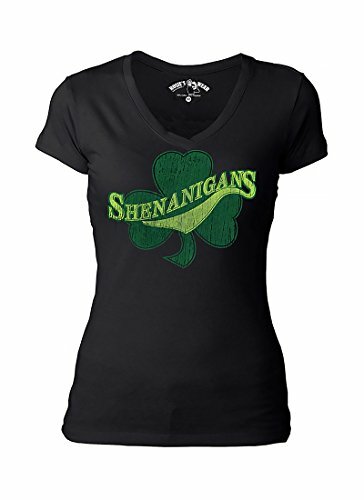 Check out our other fun designs! Our brick and mortar store has been a Chicago staple for 35 years. Please stop by and visit us when you're in town! Strange Cargo is a Registered US Trademark and part of the Amazon Brand Registry. 1/2" mitered v-neck collar. Tear away label. 5.3 oz.,100% Cotton. Heather colors (Graphite Heather): 50% Cotton/ 50% Polyester. Double needle sleeve and bottom hems. Sport Grey: 90% Cotton/ 10% Polyester. Semi-fitted contoured silhouette with side seam. Preshrunk. Cap sleeves. Taped neck and shoulders. Irish inspired American made. 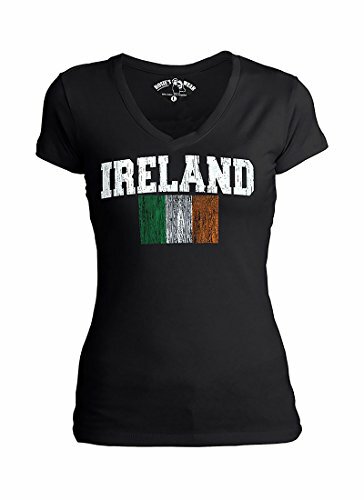 A distressed Tricolor Flag of Ireland adorns the front of a premium Next Level 60% cotton / 40% Poly v-neck "fashion cut" tee in black. 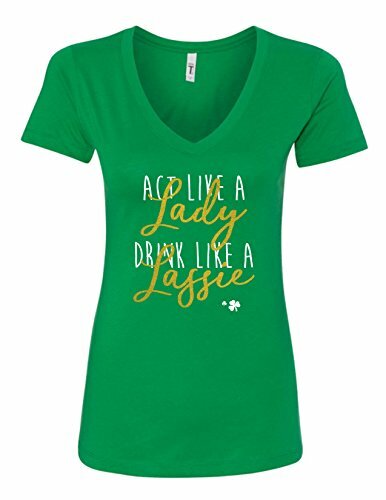 Great year-round and even better for your St. Patrick's Day celebrations! *** Please note that some customers say this shirt runs small. Irish inspired...American made. 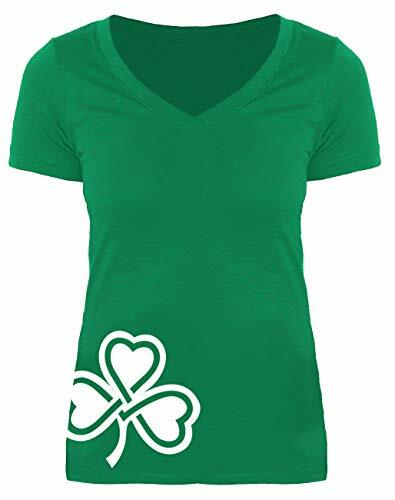 This Next Level fashion cut black V-neck is first quality featuring a distressed Shamrock emboldened with a good-natured "Shenanigans" printed on the front. Great year-round and even better for your St. Patrick's Day celebrations. ***Please note that some customers say this shirt runs small. 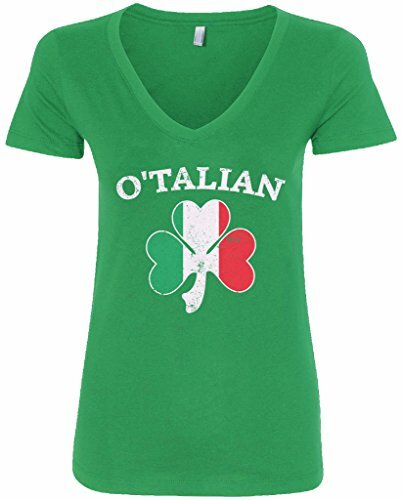 Want more Irish Womens V-neck T-shirt similar ideas? Try to explore these searches: Adidas Goalie Jerseys, Doses Granules, and Low Voltage Remote.